Erdogan imposed sanctions on two American officials days after the U.S. imposed sanctions in response to the detention of pastor Andrew Brunson. ISTANBUL — Turkey will freeze the assets of two U.S. officials in retaliation for U.S. sanctions against Turkey's justice and interior ministers due to the detention of an American pastor. President Recep Tayyip Erdogan announced the decision Saturday in a move that appeared more symbolic than practical. 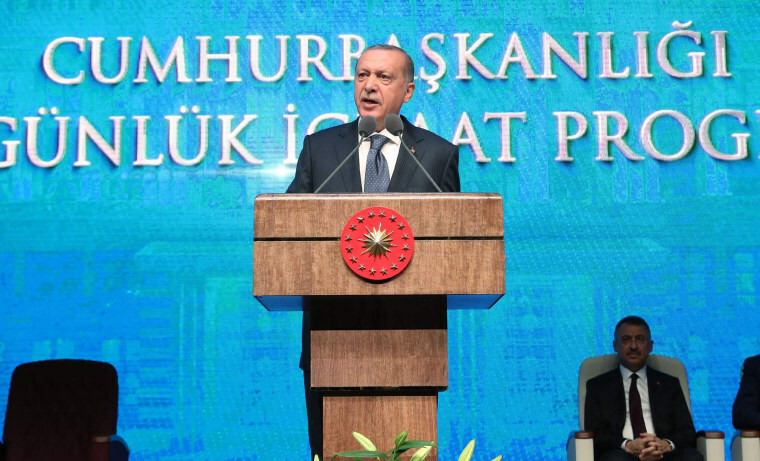 Speaking in Ankara, Erdogan said Turkey had been "patient" since the U.S. Treasury sanctions were imposed Wednesday, but ordered authorities to "freeze the assets of America's justice and interior ministers in Turkey, if there are any." Erdogan’s retaliatory remarks come days after the White House slapped sanctions on Turkey’s justice and interior ministers over the case, which has badly strained relations between NATO allies. “It is well past the time that Pastor Brunson be free and be permitted to return to the United States,” he said before leaving Singapore to travel to Jakarta for talks with senior Indonesian officials. Pompeo said he had a constructive conversation with Turkish Foreign Minister Mevlüt Çavuşoğlu, adding that he did not want to speculate as to what the U.S. might do to ensure Brunson’s release. “We had a good conversation. I’m very hopeful that we will make progress along that in the days and weeks ahead,” he said. Trump tweeted last week that Brunson is "a great Christian, family man and wonderful human being," who "should be released immediately!"